"I wonder if it hurts them to shed their skins," she said. She didn't feel afraid standing in the darkness, imagining snakes, even with the smell of death in the air." Recently married, psychologist Bea and Dan, a mixed-race artist, rent out their tiny flat to escape London for a few precious months. Driving through France they visit Bea's dropout brother Alex at the hotel he runs in Burgundy. Disturbingly, they find him all alone and the ramshackle hotel deserted, apart from the nest of snakes in the attic. When Alex and Bea's parents make a surprise visit, Dan can't understand why Bea is so appalled, or why she's never wanted him to know them; Liv and Griff Adamson are charming and rich. They are the richest people he has ever met. Maybe Bea's ashamed of him, or maybe she regrets the secrets she's been keeping. Tragedy strikes suddenly, brutally, and in its aftermath the family is stripped back to its heart, and then its rotten core, and even Bea with all her strength and goodness can't escape. 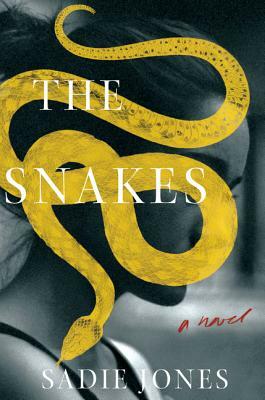 A chilling page-turner and impossible to put down, THE SNAKES is Sadie Jones at her best: breathtakingly powerful, brilliantly incisive, and utterly devastating. Sadie Jones is the author of four novels, including The Outcast, winner of the Costa First Novel Award in Great Britain and a finalist for the Orange Prize for Fiction and the Los Angeles Times Book Prize/Art Seidenbaum Award for First Fiction, Small Wars, and the bestselling The Uninvited Guests. She lives in London.